MamaEatsClean: Mama's Clean Apple Honey Garlic Grilling Sauce - Paleo and Low Carb! 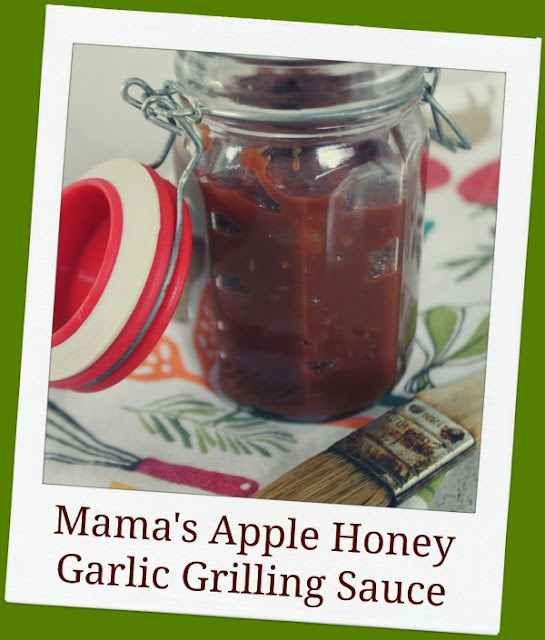 Mama's Clean Apple Honey Garlic Grilling Sauce - Paleo and Low Carb! I've had some people question how I could be so committed to eating clean. How am I sticking to it. Why am I even doing it. I kind of wonder that myself.......8 months ago I would have never believed I went clean. NO WAY. 1) Journalling - This blog has allowed me to jot down my recipes so that I can use them again and make sure I remember them. It has also given me a sense of accountability. So if you are struggling with sticking with it why not start a food journal, a blog or even buy an app to keep track of things. Somehow putting things down on paper (computer screen?) makes it more real and makes it harder to forget the cheats. And I learn by writing so some of this is actually staying in my brain. 2) Feeling Incredible - I literally feel like a different person than I did 2 years ago. I have so much more energy that I can enjoy every day, every minute, every moment. I was SO TIRED for so long - I thought that stomach aches and insomnia were normal for me - something I couldn't change. I was so wrong. I could never stick with this if it was just about losing weight (which I'm not actually trying to do at this point but I was originally). Going clean was about losing weight, staying clean is about feeling great. Hey..............nice jingle material. 3) Dark Chocolate - Yep - if I wouldn't have been allowed dark chocolate (which I didn't really care for at the beginning of this) I don't think I would have lasted more than a month or two. Dark chocolate got me through the first craving filled couple months when my whole body was screaming for treats. I still crave sweets all the time but I can satisfy those cravings now in a health"ier" way and move on. And seriously, the fact that I can have something with the word "chocolate" in it just helped me emotionally......I've got it bad for chocolate and was not ready for a divorce. And by the way I still eat way too much dark chocolate. 4) Pick your battles - I'm an all or nothing kind of gal so I like to go "all in" when I do something. But doing a 100% overhaul of your shopping, cooking and eating at once, especially in a house with 3 kids that are five and under, is nearly impossible. Unless you have a live in chef, nanny and personal shopper. So I have done this clean eating thing gradually and I am still working on changing a few things over or I gave up that I am going to go 100% clean in all areas. Compared to where I was 9 months ago its incredible so I need to be happy with that. Don't be too hard on yourself (this is for me too). In the picking my battles department, I had kind of lost the bottled ketchup, bbq sauce, mayo and salad dressings war . I tried making home-made mayo - disaster. I tried making bbq sauce - too complicated and I didn't love it. I don't eat ketchup so I decided to just buy the girls organic ketchup instead of making it. Salad dressings - I dilute the bought stuff with vinegar/oil or plain yogurt and sometimes I make my own. But I still buy and use the bought stuff pretty regularly. I just don't have the time to make everything from scratch. But grilling season is coming (please, please, please let this snow melt and let it come) and we grill a lot so I really wanted to come up with something to use as a "bbq sauce" over the summer. Something with ingredients I can pronounce, low-carb and not full of sugar and sodium. And something that won't take tons of time and energy to make. 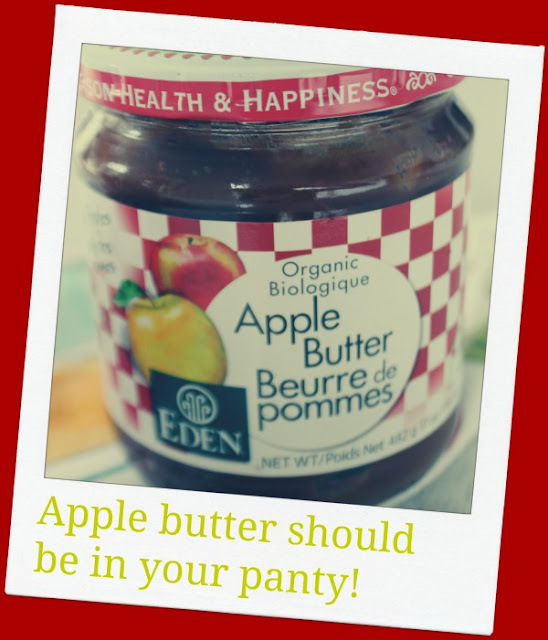 I think I found the solutions - organic apple butter. I love this stuff - two ingredients - organic apples and organic apple juice concentrate. I got mine at Super Store. Its awesome. So here is how I used it to make a quick and clean BBQ sauce for our grilled chicken breasts tonight. It would also be great as a sauce for Mama's ribs, Paleo Pork and Beef Burgers or a baked on a batch of meatballs. 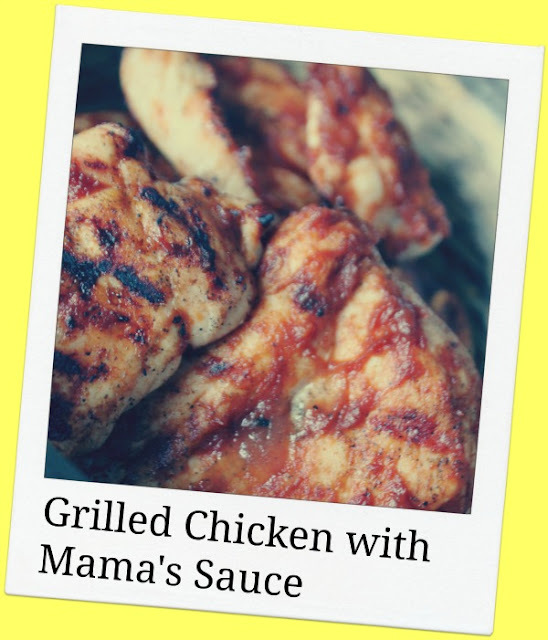 It's a great base recipe - feel free to spice it up more or add smoke flavor to change it up. The possibilities are endless. I might still cheat with a bottle of Bulls Eye every now and then but at least I have a doable option in my recipe box now. Melt butter in a medium saucepan. Saute onion and garlic until softened. Add remaining ingredients. Simmer on low for about 10 minutes to let flavors blend. Cool and store in fridge until ready to use. Now that was easy. Yum.